5 Major Advantages of Guest Posting | The Daily Programmer '+g+"
Guest posting has now become a popular trend among bloggers both new and renowned. 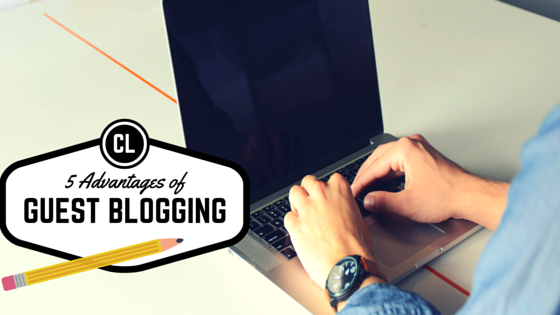 In essence, guest posting means posting articles on other blogs. What advantages a blogger can have with posting on sites other than their own, are listed down below. If you are relatively new to the blogging community, you may have a hard time gaining a reputation among hordes of blogs on the Internet. Guest posting is a good way to let other people know about you. You can reach out to a new audience, and if people like your content or writing style, they may even follow you. It's like a "Spread the Word" campaign. Before taking the plunge, guest bloggers should carefully analyze several factors - the niche of the blog website you are going to write for, its authority and the type of audience. High-quality backlinks are a part of every blogger's dream. Even Google agrees - the higher the quality of backlinks to your site, the higher it ranks in search. There are websites that provide you with thousands of backlinks, but most of them are not genuine, you will most probably get low-quality backlinks (links from scammy sites), potentially hurting your site reputation. One of the primary reasons given for guest blogging is the quality back link to your site. Generally, the link is placed in the Author Bio section or may get to place links of your choice in the article itself. However, high authority sites have now started to place restrictions on backlinks - some have put up a certain threshold on the number of backlinks, and some don't allow a single one. If you are guest blogging for a sweet link, make sure to read the terms and guidelines of guest posting for that site. Writing for other blogs creates an image of you as an author in front of a new audience - that of the blog you are writing for. Your content speaks for itself. If it's good, you have just won yourself substantial readership. Often there are niches where blogs are so frequently interlinked it's like a small community spread out into blogs. People mention each other's articles in their posts, have discussions in comments. If you want to get in there, popping up in their comments section is not enough. Request some authority sites to allow you to write for them, and present to them your best pieces. Being a part of a social network has its advantages - you'll start getting mentioned, more people will follow you and you'll subsequently gain more readership. Well, sometimes. Very few sites dish out money to guest bloggers. But if the pay is good, and you are a good enough fit for them, you should definitely give it a shot. Even if you don't want money, your blog might. A cool plugin, beautiful graphics for your blog, advertisement and promotion, elegant blog themes - all good things come at a price. The competition is tough though. As already mentioned, there are very few sites who offer money for articles. They may or may not give you the backlink, but if you think you can make good use of the money, go ahead. Find the sites in your niche who pay well, read the terms, and give them your best.